Welcome to the Wondershare DVD Creator guide! Find your target topic from the left navigation. Get step-by-step instructions to solve your issue. 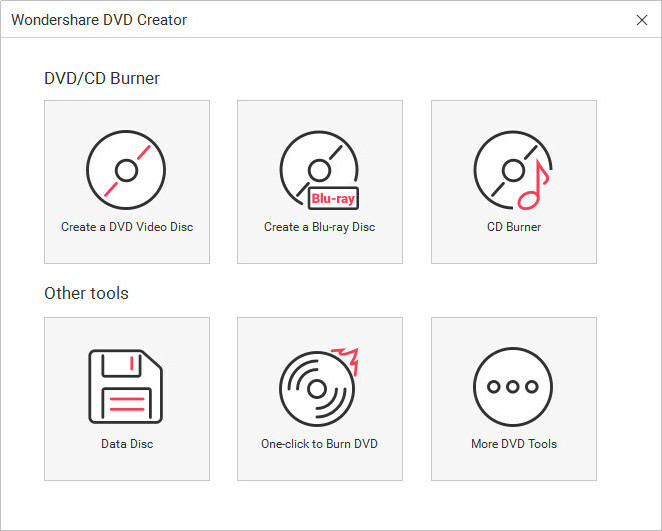 If you want to burn music to CD, Wondershare DVD Creator enables you to get the work done in easy clicks. The following guide will show you how to burn music to CD in detail. Start Wondershare DVD Creator after the installation, and start it. The program will display 6 modules in the main interface. Select CD Burner. Now you’ll the homepage of CD Burner. Click Add Music in the middle and you’ll be able to add music files from your computer. You're also enabled to drag and drop the files into the program window directly. 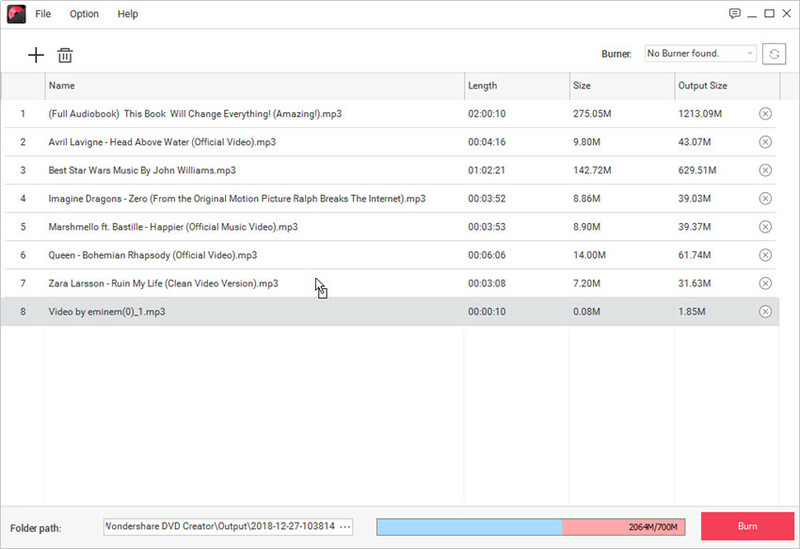 You can also click File > Add Files at the upper left corner to add music from your computer. 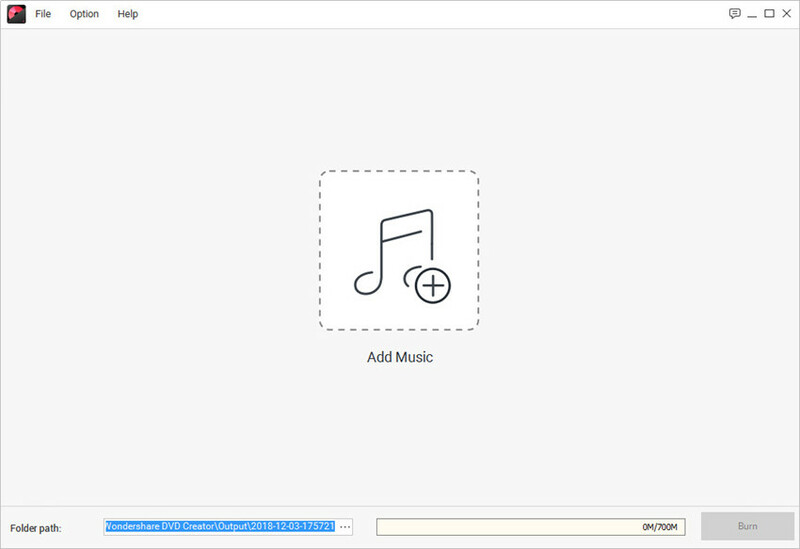 After adding the music files into the program window, you can arrange the order of the music files by dragging the music file to the place you want. 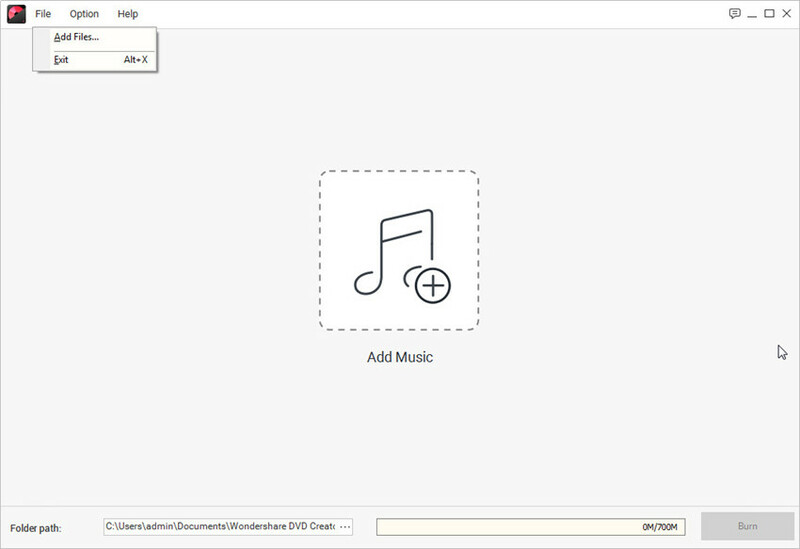 When you've finished organzing the music files, you only need to click the Burn button at the lower right bottom to start burning audio to CD disc. The CD Burner feature is now only available on the Windows version. This feature for Mac version will coming soon. If you can't find the right answers from the above how-tos, you can find more support from the following items.